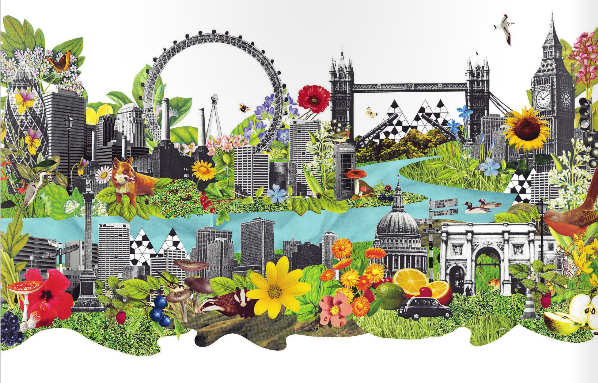 Lost in London magazine was a seasonal pleasure, illuminating the green within the grey city and exploring capital's diverse wildlife, its natural cycles and landscapes, conservation issues and a simpler, slower lifestyle. The first Lost in London book does all this and more, taking as its starting point a map of the city sans transport links, conurbations and manmade landmarks, navigating instead by rivers, woodland, nature reserves, heathland, reservoirs and parkland. Divided into four sections: Natural city, Life on the water, Journeys through trees and Urban farmer's handbook, the book is a collection of thematic articles accompanied by beautiful photography, maps and illustrations. Here are unusual stories, conservation information, nature notes from little known green spaces, gardening advice and delicious sounding recipes. Dip into the book and you'll learn how to forage for fruit, find natural dye plants, keep chickens, spot owls, create a vineyard, avoid adders and make damson gin. Many different writers, artists and nature lovers have contributed to this collection, but there's an over-riding sense of Lucy Scott and Tina Smith having coaxed it all together with tender loving care. Indeed, in some places, the pace of life feels so gentle, natural and lovingly conveyed that urban London seems very far away indeed. Beware the lure of the wild outdoors. Time to go to work, you say? No, thanks. I'm going foraging for pickles in Peckham, thank you. Lost in London by Lucy Scott and Tina Smith is available now, RRP £14,99. Back issues of Lost in London magazine are available too.